Dr. Elizabeth Farnsworth is Senior Research Ecologist with the New England Wild Flower Society in Framingham, MA. She has been responsible for coordinating planning for the conservation and management for over 100 species of rare plants. Currently Dr. Farnsworth is principal investigator on NEWFS’ National Science Foundation- funded project to develop an innovative web tool called “Go Botany.” This online application, launching in April 2012, will have a variety of features to guide users of all skill levels in identifying thousands of plant species in the New England region. It will be an especially significant teaching tool for educators, and allow them to engage students via mobile technology in the fields of botany, ecology, and conservation. The recently published New England Wild Flower Society’s Flora Novae Angliae (2011) includes Dr. Farnsworth’s detailed technical drawings of plants. She is currently co-writing and illustrating the Field Guide to Ants of New England to be published by Yale University Press. She has also illustrated The Natural Communities of New Hampshire, by the New Hampshire Natural Heritage Bureau, and three other books. In addition, Dr. Farnsworth is a widely published researcher and writer. She has conducted scientific research on many ecosystems around the world, focusing on restoration, conservation, and climate change. The topics of her many publications, both scientific and popular are diverse. Her scientific interests range from seed morphology and physiology to mangrove ecology to ferns and rare plants. She is also co-author of the Peterson Field Guide to the Ferns; Twenty years, twenty hikes: a guide to 20 hikes on protected land in North Central Massachusetts; and The Connecticut River Boating Guide: Source to Sea. She serves as Editor-in-Chief of Rhodora, a highly- respected botanical journal with a publishing history dating back to 1899. Dr. Farnsworth is a member of the graduate faculties of the University of Massachusetts at Amherst, and University of Rhode Island, a Master Teacher at the Conway School of Landscape Design, and has taught at Smith College and Hampshire College. She was awarded a Bullard Research Fellowship by Harvard University in 2005, and a National Science Foundation Postdoctoral Fellowship in 1999. She has served as a scientific consultant to numerous organizations, including the National Park Service, The Trustees of Reservations, the U.S. Forest Service, and the United Nations. Dr. Farnsworth received a B. A. with honors in Environmental Studies from Brown University, a M.Sc. from the University of Vermont, and a Ph.D. in Biology from Harvard University. It was at Dana Hall that Dr. Farnsworth first became interested in science. She was inspired by her biology teachers, particularly Linda McIntosh ’67 and Linda Samuels, who encouraged her to do independent research at the Wellesley College Library. She also enjoyed her Chemistry class with Ann Bekebrede and a course in Physics with Steve Adler. At the same time she learned she could combine her love of science with her growing skills in art, fostered by art teachers Gene and Phyllis Scattergood. She continues to pursue these two passions – science and art – in her books and her professional work. Dr. Farnsworth lives with her husband on 108 acres of conservation land in Royalston, Massachusetts, and spends her free time farming, singing semi-professionally, building and paddling kayaks, and rooting for the Red Sox. DeSimone, Dorothy. “Women Botanists Part 2.” New England Wildflower Society. New England Wildflower Society, 2011. Web. 6 Nov. 2013. <http://www.newfs.org/article-depository/library/recommended-reading/women-botanists-part-2.html/?searchterm=library>. Farnsworth, Elizabeth. 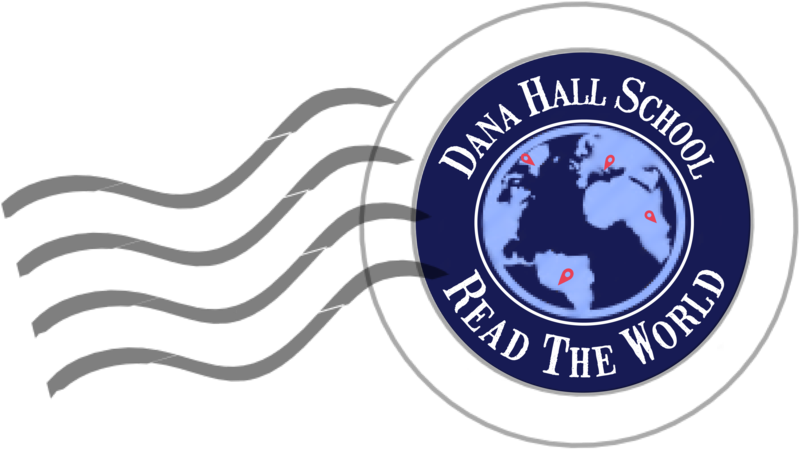 “Re: Dana Hall Display.” Message to Pam Kaplan. 7 March 2012. E-mail.